Premier Property Group Owner Cristian Michaels , 41, has helped assemble sales of downtown residential towers including The Vue, Star Tower, Sanctuary, and Solaire. He said he is also consulting on four proposed downtown multi – family projects. 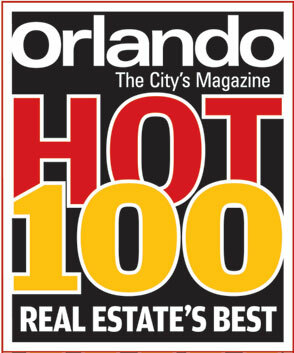 He spoke recently with Orlando Sentinel real estate writer Mary Shanklin. How did you go from a pre-med undergrad degree to multi-family real estate? The short answer is that I wanted to do something with my life that helped other people. Being a doctor doesn’t help people? Once I got into the clinical side of things, insurance companies and HMOs ran it like a business. I have a passion for architecture and design and so real estate was a natural transition. And the first time you hand first-time buyers the keys to their home and they’re crying, it’s powerful. What is the top asking price at the Vue and what do buyers get for it? $2.1 million was our last asking price at the Vue for a penthouse. It didn’t sell but we’ve had offers. We’ve had four transactions this month for $500,000 to $800,000 at Sanctuary and Star Tower. All of the buyers were end users. They weren’t investors. What does $8oo,ooo get you for a downtown condo? 2,400 square feet and three bedrooms. They’ve sold as high a $1 million in the Sanctuary during the last two months. Where were all these downtown renters living before they moved downtown? It’s a little bit of a blend now. There are 1,500 units coming online downtown. The Steel House is geared for the more affordable renter and those are not a condo-renter profile. Typically they are coming from Lake Nona and Medical City. It’s a little bit of a reverse commute. I live in the Ivy Residences and there are a lot of people from the medical profession. The Vue has about 30 percent medical professionals…. A lot of the medical jobs were brought in from out of state….We get a lot of people with tech jobs and Lockheed employees. What goes through your mind when you see what now feels like the weekly announcement of a new apartment project for downtown? I think that a lot of these buildings are planned with projections for two or three years out. Most of it, at the right price point, will convert to condominiums. You might get a little bit of a secondary bubble where you’ve got a bit of an oversupply and not enough demand. Paint a picture of how much the downtown apartment and condo markets have changed in the last five years? I think it has dramatically recovered, as far as values, and mainly from a lack of distress properties. I think in 2007, it was a very speculative market. A lot of people were buying these properties and never intending to live in them. Now it’s a very solid market. Are you seeing any tenants move into downtown without cars? You know, you get some relocations into the market who don’t intend to purchase cars. It’s not a large percentage. I think the biggest catalyst for using public transit, like Sun Rail, will be the I-4 expansion project. Right now, it’s a bit premature. And I think you need to have the public-transit ridership increase and I think it will happen. When I lived in 32801 (ZIP code), I barely put 2,000 miles on my car in a year. When renters relocate and move away from downtown, what is the reason: New jobs? Need for more space? Income challenges? Noise? Especially if someone moved in with unrealistic expectations about noise, as you pack in more buildings, the noise becomes more of a constant. But the shift from downtown for some maybe more of a family dynamic with people looking for more space for their money. Any regrets about not becoming a doctor? Not at all, I absolutely love what I do.